The Cristo Rey Philadelphia High School community reflects the diversity of our city, our country, and our world. We believe that men and women of all races and all religions share a special human dignity and we are committed to loving and serving everyone. At Cristo Rey, we encourage the students to explore and express their own faith traditions and also to understand the beliefs and traditions of their peers, together – in theology classes, in prayer services, in service programs, in retreats, in religious ceremonies – and in this Chapel. The Cristo Rey Chapel reflects the spirit of our mission. In this special place we gather together as Christians, Jews, Muslims, Buddhists, people of other faiths, and people of uncertain faith. We come here, alone and in community, to contemplate our God, to affirm our common dignity, to express gratitude for our gifts, and to celebrate our love of each other. Catholics and others may gather in the chapel for Eucharist. Muslims and others may join together here for Salat. Jews and others may share the Seder here. All are welcomed in the Cristo Rey Chapel. With this philosophy in mind, Cristo Rey Philadelphia worked closely with lead architect Lee Casaccio of Bernardon, and artist Sister Helen David Brancato, I.H.M., of Villanova University, with the support of the project’s main architects at Blackney Hayes. The design team also included a Rabbi, Imam, Priest, Sisters, and Cristo Rey students who represented many different faith traditions. Together, they created a chapel that would be a welcoming and inclusive space for the entire Cristo Rey Philadelphia community. As a result, the chapel has an adaptable design so that it can function as a space for reflection and meditation, a place for Catholic Mass, Christian service, and an area for Muslim Prayer. The chapel will also incorporate stained glass windows, designed by Sister Helen and fabricated by Beyer Studio. Sister Helen is creating a universal design for the stained glass windows which exemplify the breathtaking beauty of God and God’s creations. 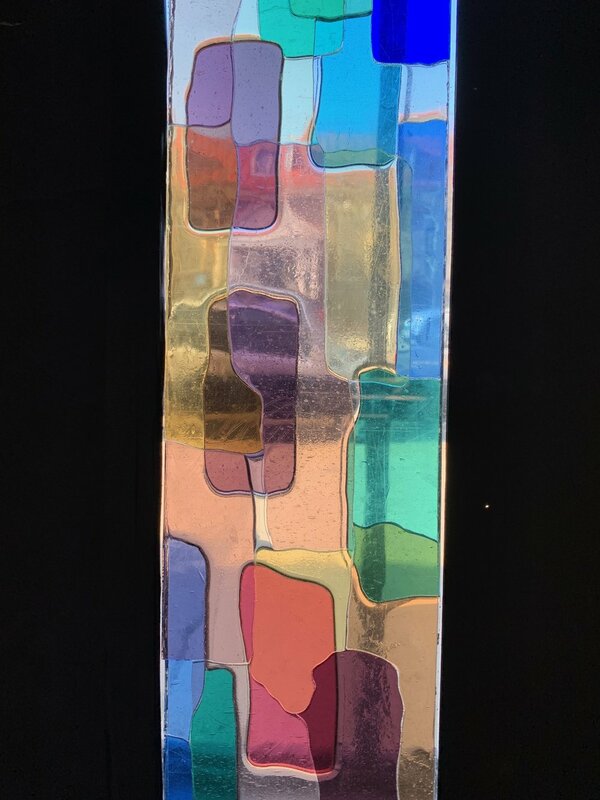 The stained glass will fill the interior of the chapel with beams of colored light, creating an inviting atmosphere that will encourage students to enter the chapel and deepen their spirituality, take part in faith formation, and cultivate their own religious knowledge. The chapel entranceway on the third floor, showcasing the stained glass windows. A drawing of the chapel entranceway by architect Eric Trainer of Bernardon. The south-facing view from inside the chapel, where a movable altar and ambo can stand. The vaulted ceiling of the chapel. A stained glass window designed by Sister Helen and fabricated by Beyer Studio. 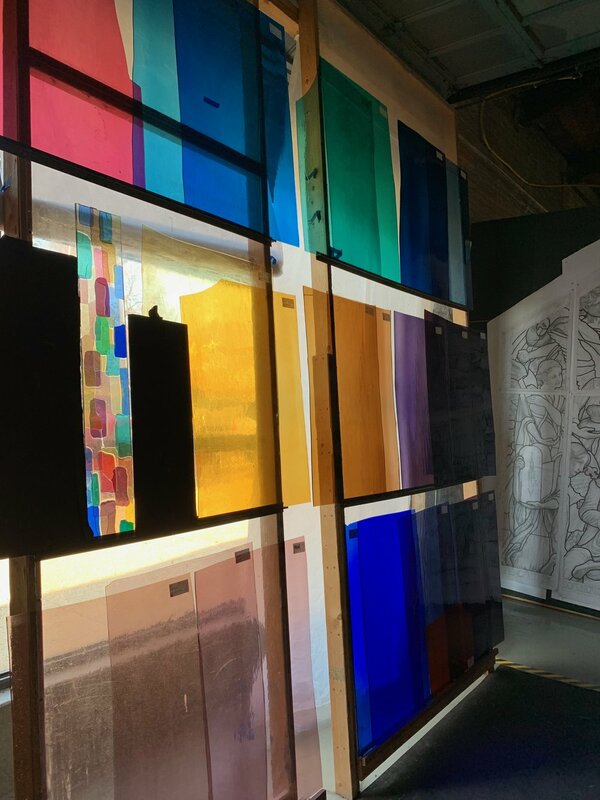 The stained glass windows in progress at Beyer Studio. Enjoy a quick look at some of the most recent progress at the new campus! With only four months until we move in, construction is moving fast! The exterior of Phase I of the project is nearly complete. Receive a full look at the site from a bird’s eye view in our latest drone footage. 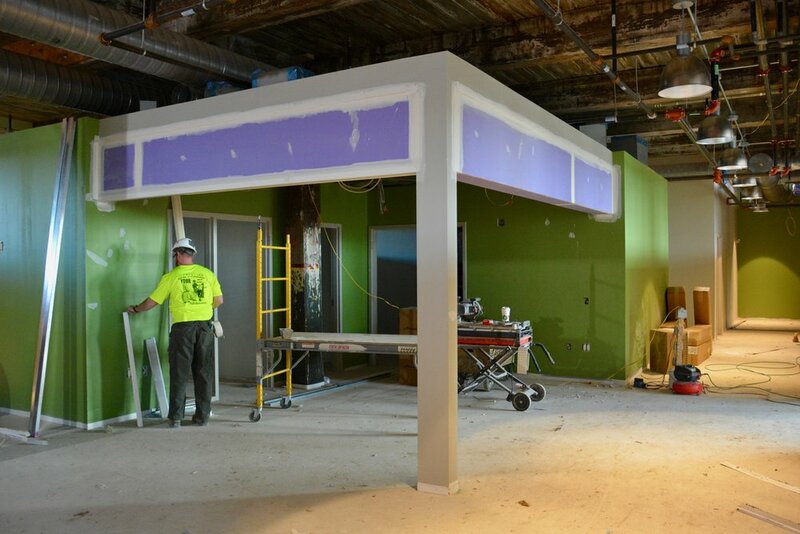 The factory interior work is progressing quickly! The bottom left image shows a typical classroom and the bottom right photo shows the entrance into a science lab. The new campus will have 16 regular-sized classrooms that can sit up to 35 students, three small-sized classrooms, and two medium-sized classrooms. In addition, the school will have three science labs, one art room, and one flex room — a space that can be used for a number of different functions. 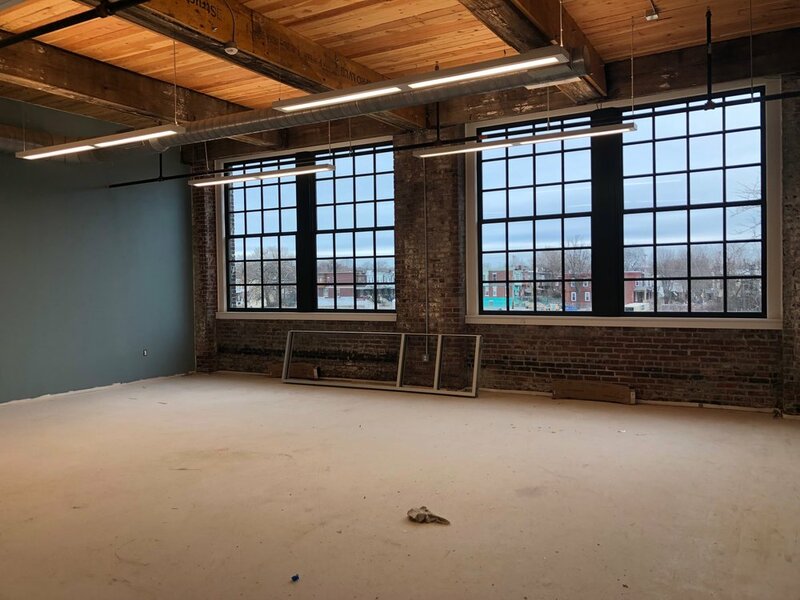 The lighting fixtures and custom-made historical windows (see A Window of Opportunity) have been installed in the classrooms of the factory building. The brick walls will be left exposed and, in addition, most of the ceilings and columns (see bottom left photo) will be left unfinished. We want to keep the architecture that we can from the original factory to maintain the historical integrity of the building and to remember the extraordinary history of our home while we’re living in it. The restoration project of the factory is made possible from a donation by the Connelly Foundation. The classrooms have windows looking out into the interior space so the natural light can pass through the building. 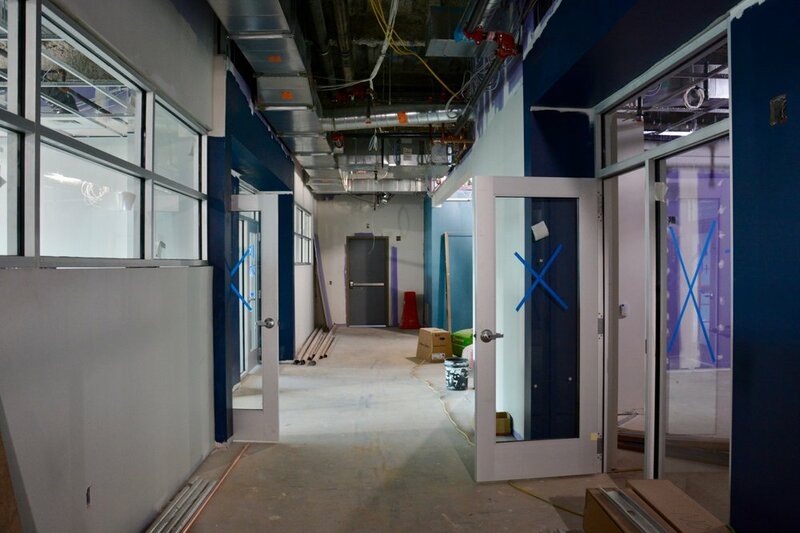 In the factory, these windows are directly above the student lockers (bottom left photo) that encircle the collaborative space in the center. The collaborative hubs will be at the center of the second, third, and fourth floors of the factory building, adjacent to department offices (bottom left photo). The second floor will be home to the Pathways to College Program. 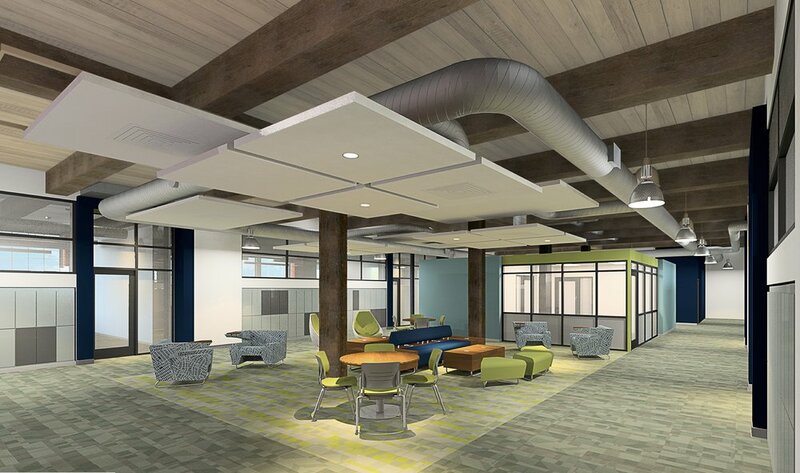 The third floor will be home to Student Life and Campus Ministry; and the fourth floor will house the Technology department, featuring an extension to the Engineering Lab. Each floor has a different color scheme — blue (floor 2), green (floor 3), and orange (floor 4) — chosen to inspire creativity. 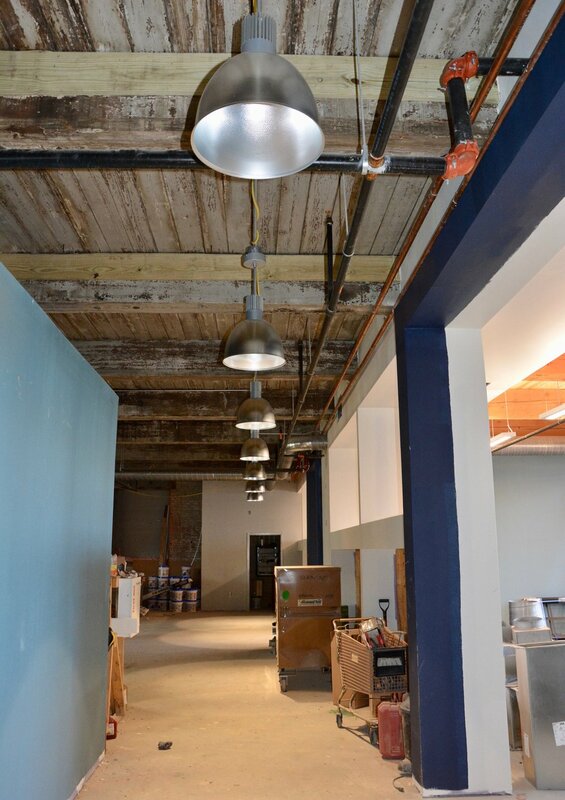 To learn more about the collaborative spaces, read our Capital Campaign Update: Issue 2. Construction of the gym, locker rooms and fitness center has begun! 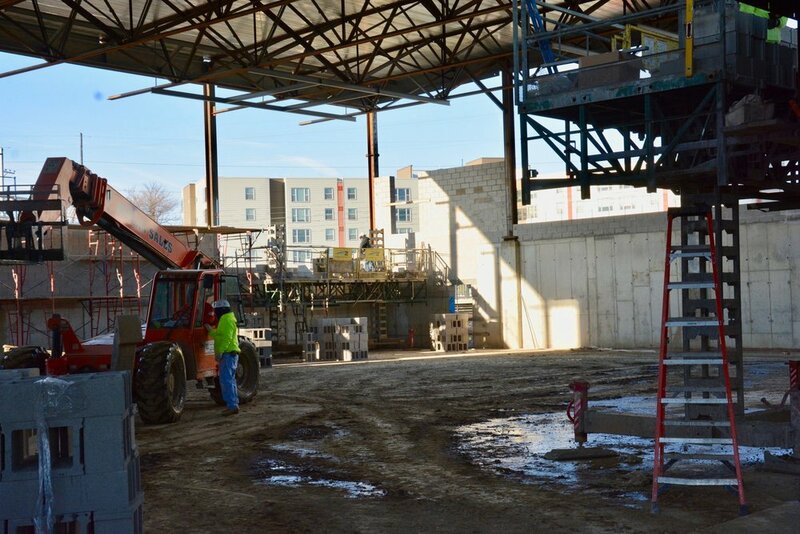 The concrete for the gym floor was poured, the wall is being built, and the steel for the fitness center and locker rooms is going up. Our current location does not have a full-sized gym, so this is a very exciting addition for the Cristo Rey community that was made possible by a donation from Essent Guaranty, Inc. Not only will the Cristo Rey Blue Pride be able to have home games at our campus, but the gym will be a home for Health and Fitness classes, assemblies, pep rallies, events, and more! 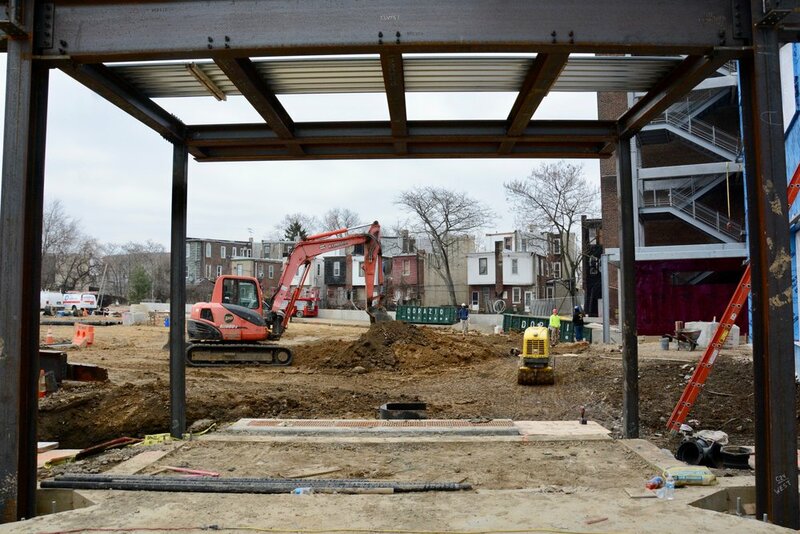 Through a donation from Philadelphia Insurance Companies Foundation, the new school will also include a fitness center — another exciting addition for our community. 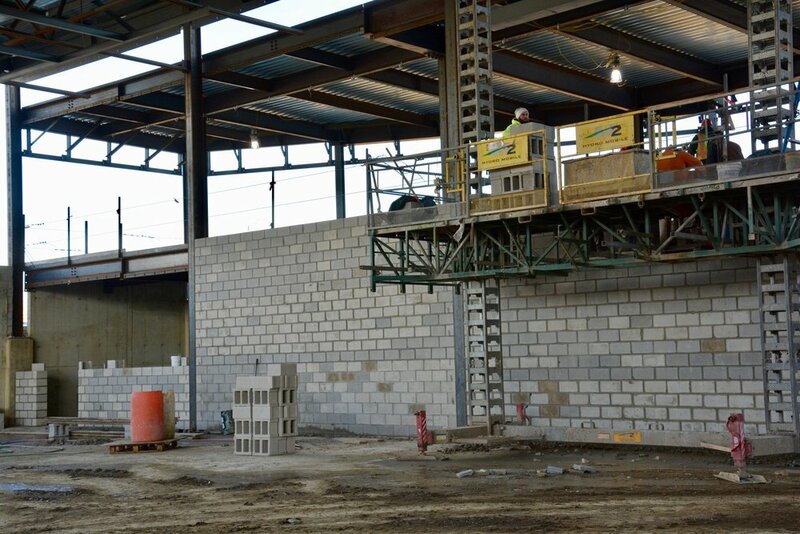 The space will feature large windows on the north wall that look out over the gym and large windows on the south wall that look out over the athletic field. At Cristo Rey, we want to help students develop a healthy body, mind, and spirit. With these facilities, we have greater opportunities for students to learn and practice living a healthy lifestyle, as well as continue to grow a culture of strong school spirit. 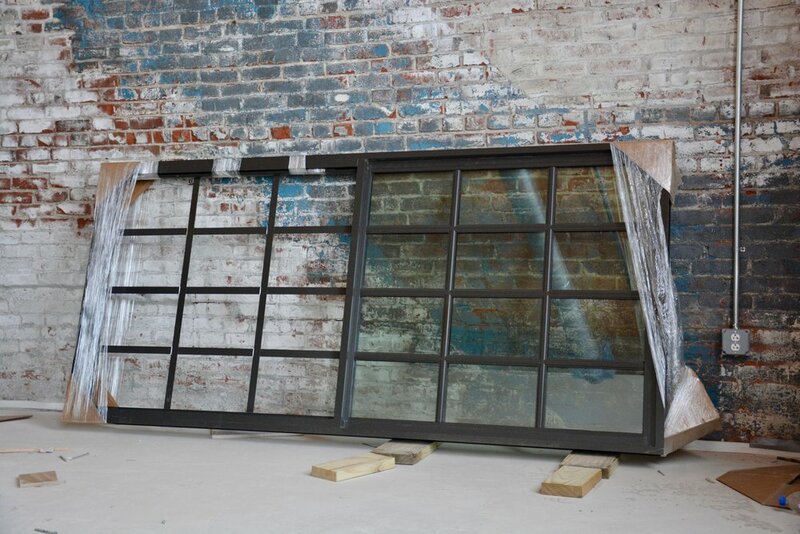 The historic windows for the restored factory have arrived and are being tested and installed! 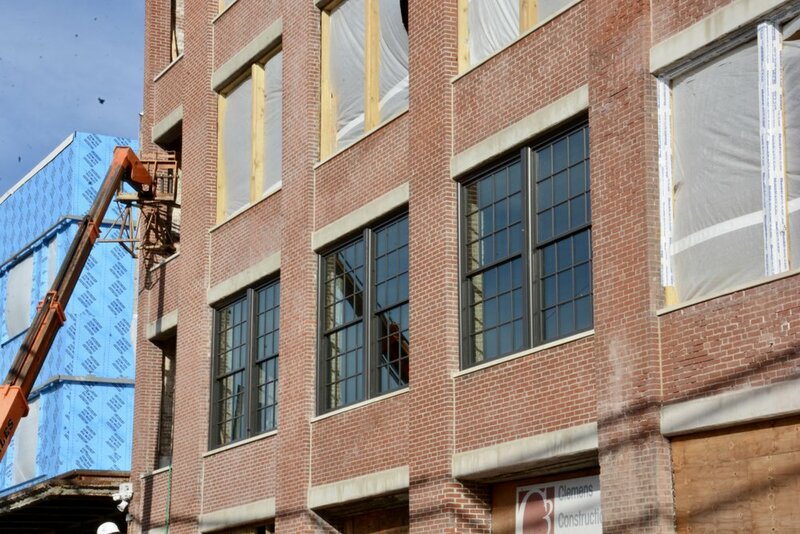 To maintain the structural integrity of the original factory, we are restoring the facade to its original state. 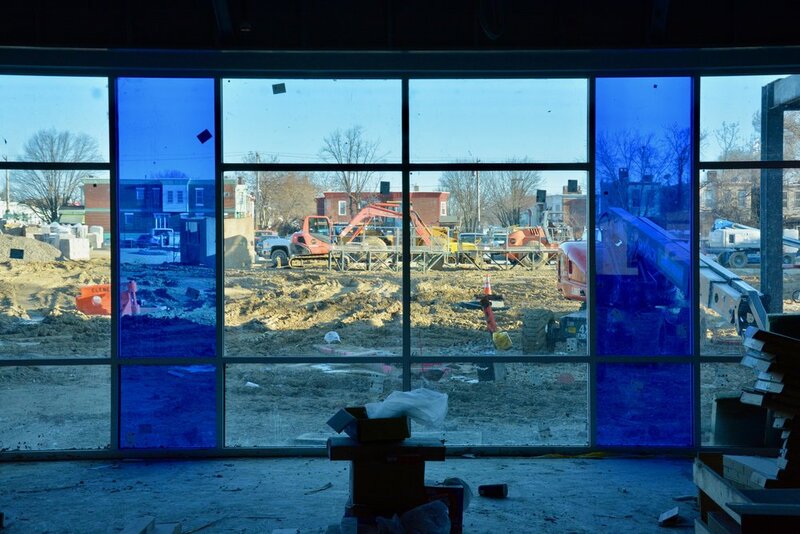 These windows are custom-made based on pictures of the A. Mecky Factory at its peak, adding a unique feature to the new school! Fun fact: each window is a slightly different dimension. The back staircase has been installed. 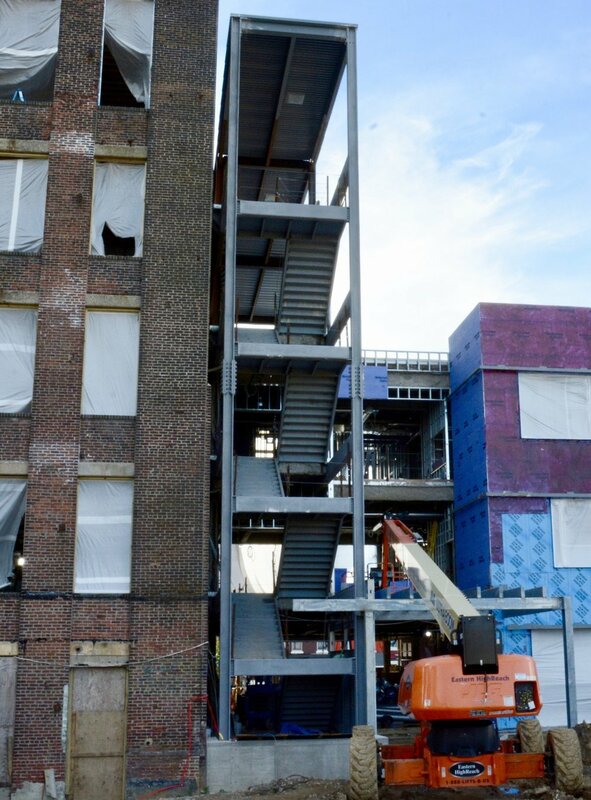 These stairs will be surrounded by glass windows that overlook the courtyard and amphitheater below. In just eight months, we’ll be moving to our new home in Tioga. The new campus will have features we currently lack, such as a regulation-sized gym, parking lot, and classrooms and office spaces that fit our community comfortably. A great amount of hard-work, collaboration and dedication was put into making our new school the home that our students deserve. But how did we find this great space to build our new home? When we decided to move, we established two essential criteria we were looking for in a new space: it had to be expandable – so we could build a permanent home and never have to move again – and it had to be safe walking distance from a Broad Street subway station. The first step was to visit school buildings for sale by the Philadelphia School District, charter and private schools. Focusing on schools in North Philadelphia, we went to more than twenty buildings and worked with a real estate firm to help us. But, to our dismay, none of the locations fit the criteria. Instead of continuing the “for sale” search online or via real estate agencies, we decided to take a more grounded, holistic approach: “I asked Chris to walk the city from Fern Rock to Spring Garden, four blocks on either side of Broad Street, and write down any buildings that fit our criteria, whether they were for sale or not,” notes John McConnell, Founder and President of Cristo Rey Philadelphia. 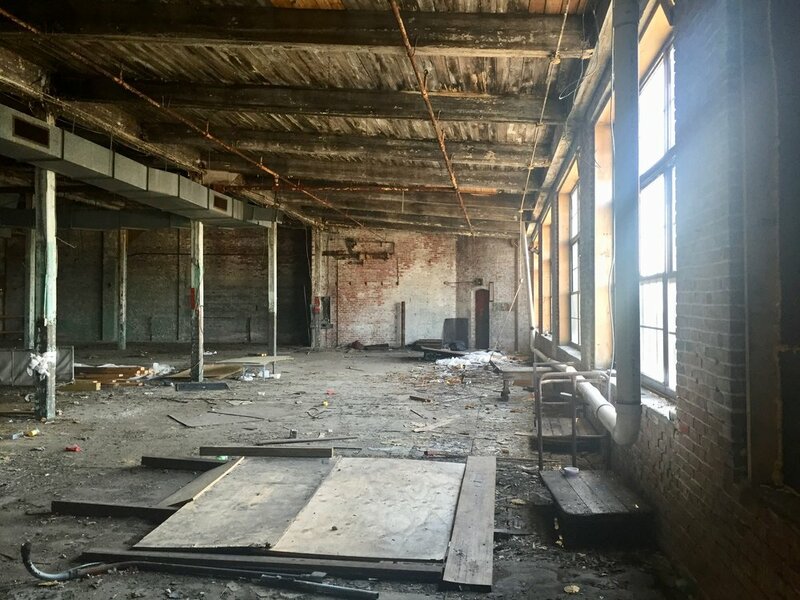 After a summer of countless site visits and many disappointments, Chris and John went to visit an old warehouse for sale on Allegheny Street. They were not expecting much and upon arrival, the warehouse looked in bad shape, most likely abandoned for years… but then something caught their attention. “On its own, the warehouse was not big enough, but next to it was a huge empty lot with weeds higher than your head!” says John. Making their way through the weeds, John and Chris searched for any information they could find until they came across a large piece of plywood, about the size of a desk, lying on the ground. Face up, the plywood was blank. But they turned it over and saw what they were hoping for – written in big letters was “For Sale” and a phone number! Within a year, we bought the land and soon after, the building. 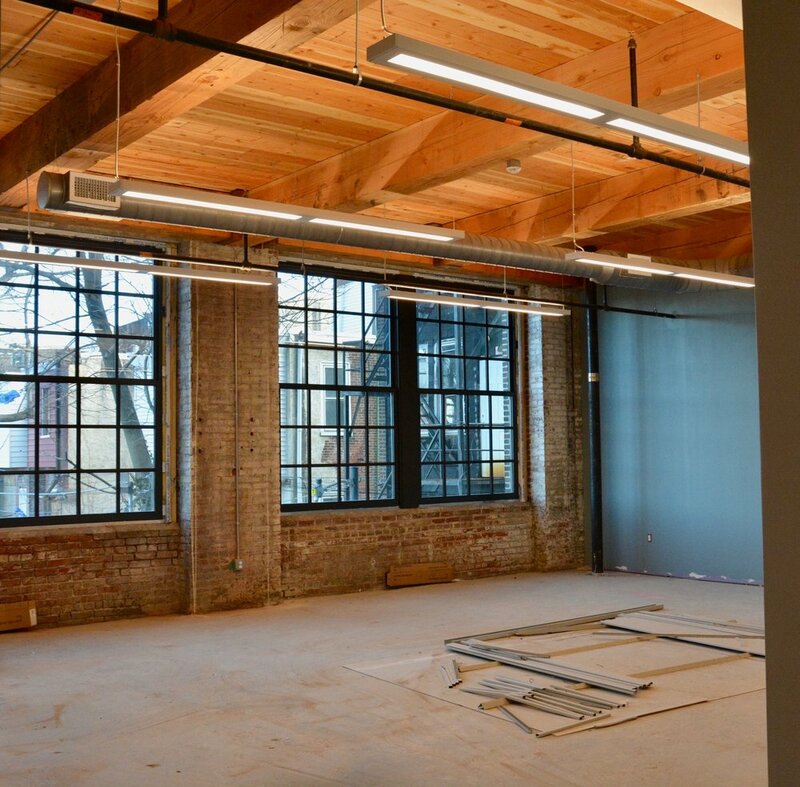 “The combination of the warehouse and empty lot was spectacular,” says John. “And the real hero of the story was Chris Mullen.” With Chris’ help and a little luck, we found a location that was large enough to expand and just three blocks from the subway. We found our permanent home. The empty lot next to the warehouse before it was cleared to build the new addition. The back empty lot off of Westmoreland Street before it was cleared. It is now the new school parking lot. The original warehouse and old tricycle factory before restoration began. The exterior walls of the new addition are up and the interior steel is in place to begin to create the classroom and office spaces. The interior walls are almost complete! In this photo, the college counseling team’s new space is looking welcoming and bright. 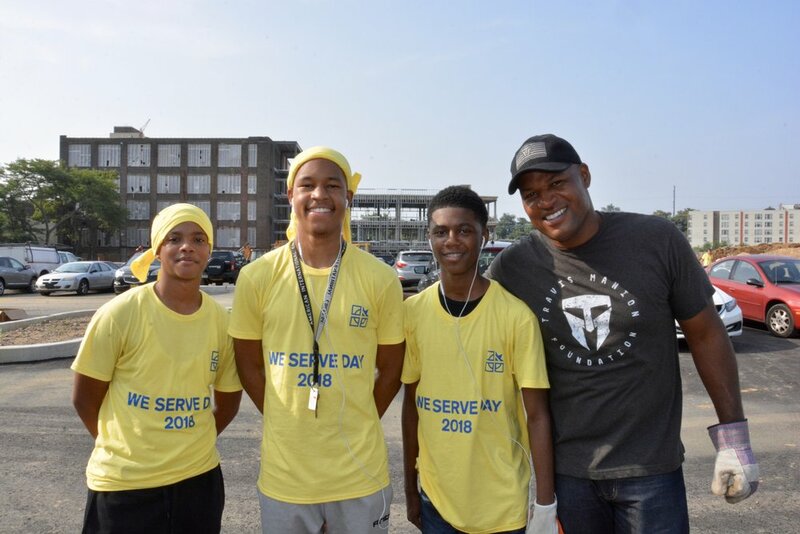 On Monday, August 27th, we held our first annual “We Serve Day,” in our new neighborhood of Tioga. Students, faculty/staff, members of Tioga United and the community, and the Travis Manion Foundation joined forces to help clean the streets surrounding our new school location at the corner of 17th and Allegheny. The Travis Manion Foundation generously donated the supplies for the day, including gloves, rakes, and trash bags. In addition to picking up trash on the streets, some students visited our new neighbor, Thankful Baptist Church, to help them clean inside the main sanctuary. Furthermore, all helping were welcome to tours of the construction site – an exciting opportunity for students to see the foundations of where they will be learning next year! After a hard morning’s work, we concluded the clean-up with a delicious barbecue lunch in our new parking lot. This is just the first of many steps in our mission to give back to the Tioga community. We are thrilled to be moving to a welcoming neighborhood and are looking forward to continuing to work with Tioga United to create a safe, clean, and healthy community. We have a parking lot! This is one of the highlights at our new school that we do not currently have at 5218. We're excited to have a convenient and safe place for faculty and staff to park, as well as a dedicated space to keep our Work-Study transportation vehicles! Aerial view of paved parking lot. 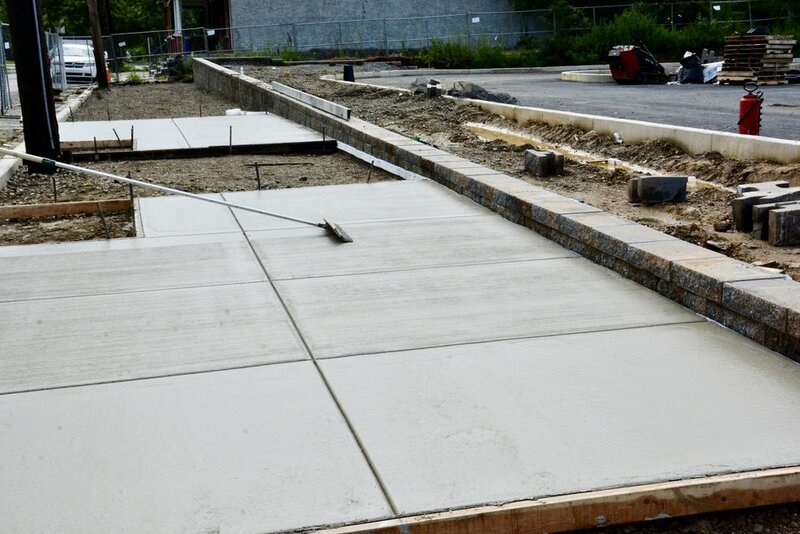 Surrounding concrete sidewalk is in progress. Construction of the new addition has moved along quickly since the Topping-Off Ceremony on June 1st. The metal decking (flooring) was placed on the horizontal beams, followed by the pouring of the concrete. Come by to see the progress and take a walk on the new floors! In just three weeks, the frame of our new building is up! 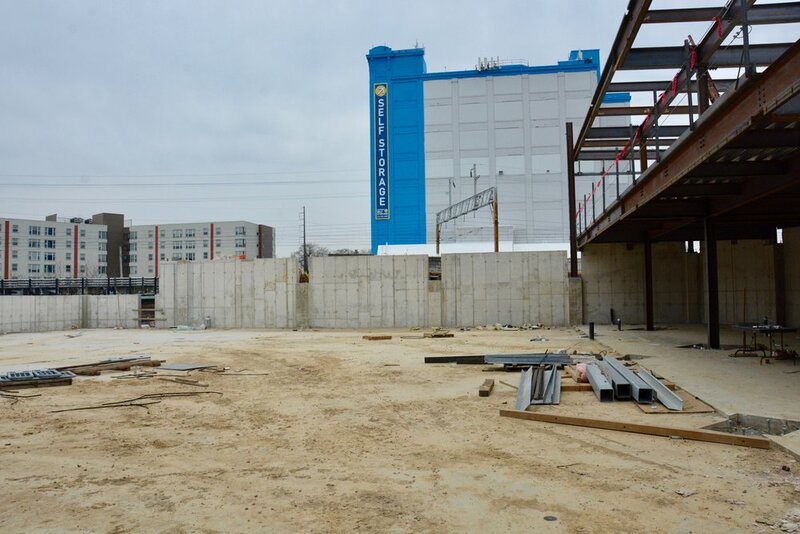 On Friday, June 1st, Cristo Rey Philadelphia Clemens Construction, Pride Enterprises, and campaign supporters gathered for the Topping-Out Ceremony – an old construction tradition to celebrate the milestone of placing the final beam. The tradition is that everyone signs the painted white beam before it goes up to be placed, typically, at the highest point of the building. On one end of the beam is a Christmas Tree and on the other end is an American Flag. The tree symbolizes growth and good luck by giving back to the forest. Legend has it that this tradition dates back to pre-Dark Age Scandinavian cultures who placed a tree on top of a new building to fend off evil spirits for cutting down the forests for lumber. John McConnell, Cristo Rey Philadelphia Founder and President, spoke, as well as Jim Smith, Clemens Construction Site Supervisor. Watch the video below to hear what they had to say about this significant milestone for the project. Beam is ready to be lifted and placed. Beam is placed at highest point of the new building. The new addition makes headway as the structural steel goes up! 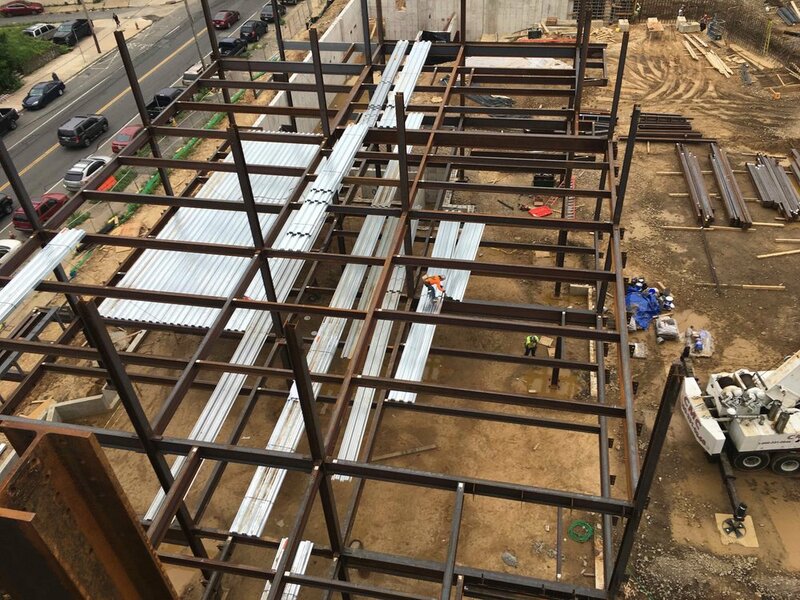 The structural steel is the skeleton of the building that sits upon the footings in the ground. First, the columns or vertical beams are set to make up the frame, and then the horizontal beams are set in place to complete the framing. In addition, cables are attached to the frame so that the building is set straight up and down and the beams are square to one another. Once the beams are set and bolted, the metal decking is installed to form the floor and roof of our soon to be gym and classrooms. Tioga became part of Philadelphia city limits in the mid 1850s. During World War II, the neighborhood experienced an industrial boom and peaked economically in the 1950s (see this post for more history on the new campus). Soon after, Tioga fell victim to “white flight” during the years of the Civil Rights Movement. Unfortunately, the migration left buildings and businesses abandoned. Today, although Tioga still faces its challenges, it is a vibrant and close-knit community. Cristo Rey hopes to help bring back "that feeling" to Tioga. At the new school campus, we will offer spaces and programing to support adult education, financial literacy, physical fitness, and other community needs. In addition, our admissions office is working with Tioga United to increase the enrollment of students from the area. “I think that Cristo Rey will help build our youth and future by providing exceptional education and a beautiful building,” Brown-Tyner adds. Together, Cristo Rey Philadelphia and the Tioga Community hope to advance growth and development of the neighborhood. 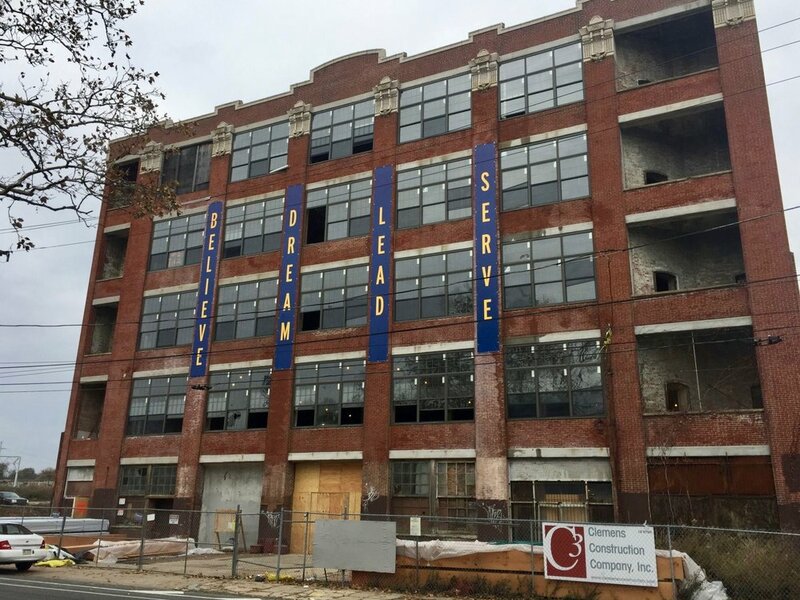 We are thrilled to be moving to a site full of history, which is why we are committed to maintain the historical integrity of the old factory. Our team has been working closely with architects at Blackney Hayes and builders at Clemens Construction to find new ways to use old materials from the original factory across the campus. 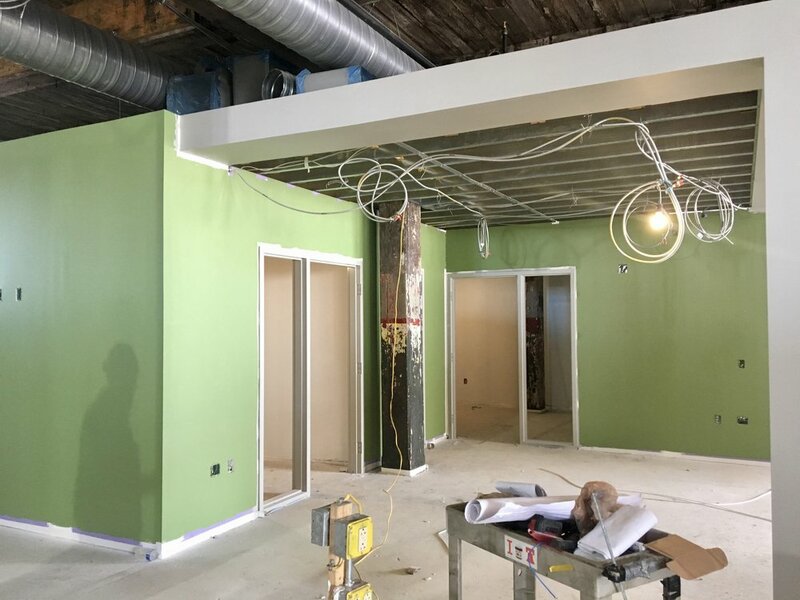 Salvaged timber beams and wood floor boards will be reused for flooring and accent walls throughout the space, as well as for window sills and staircases. But wood is not the only material we’re reclaiming. In the midst of ongoing construction, the team found cobblestones from an old road that intersected the site. We’re planning to incorporate these cobblestones into the outdoor plaza designs. We’re also reclaiming bricks from the chimney and walls of the factory that have been demolished. As construction progresses, no doubt new ideas will arise. 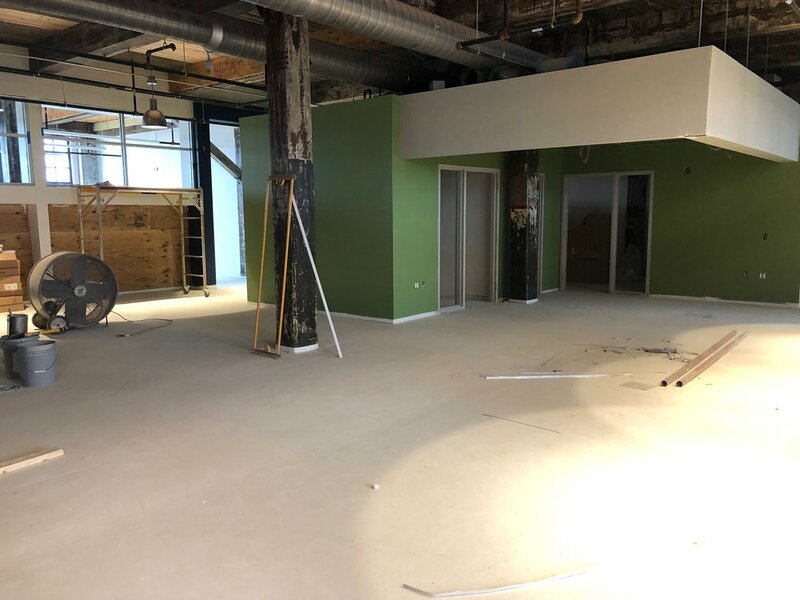 Not only is reusing material “greener,” but it tells a story of history— the history of the Tioga neighborhood that will be remembered as we walk the hallways at 1717 W. Allegheny Ave. 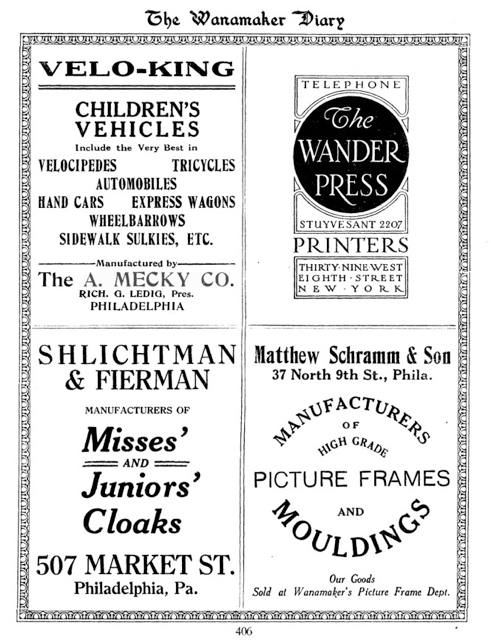 In the 1920s, 1705 W. Allegheny Ave. was a lively and operating tricycle factory owned by A. Mecky Company. Today, we are bringing this factory back to life! In addition to 50,000 sq. ft. of new building, our campus will restore 50,000 sq. ft. of the old tricycle factory. Excitingly, this factory has some fun Philly history, so we decided to take a "ride" down memory lane and find out more! August Mecky was born in Germany in 1853, and according to the 1900 US Census, came to the United States in 1871. He worked several jobs before establishing his tricycle company, A. Mecky Co., in 1883. Mecky bought the property at 1705 W. Allegheny Ave. in 1897 and the factory was built in 1910 with a 3-story rooftop addition completed six years later. However, Mecky died in 1906, and the success of A. Mecky Co. continued under the leadership of August Mecky’s son-in-law, Richard G. Ledig. 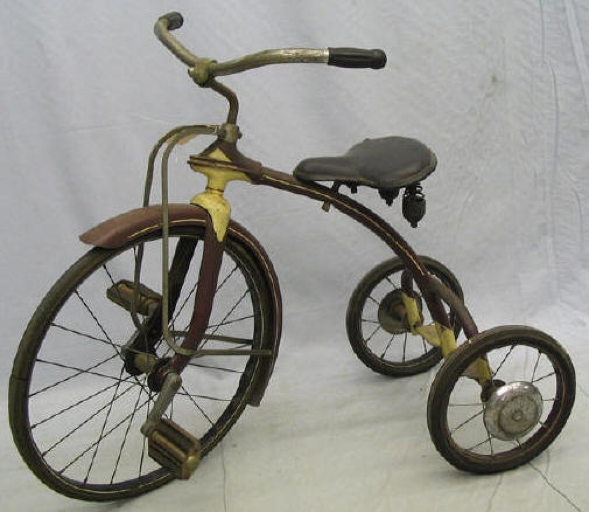 Ledig was both the President and inventor for A. Mecky Co.; he patented many products during his lifetime that opened manufacturing to a wide array of children’s vehicles including “baby buggies,” pedal cars, scooters, toddler bicycles and automobiles. Ledig even created a very successful toaster, known as the ‘Twin Bowl Triple Purpose’ toaster. However, the most popular product was the Velo-King Velocipede Tricycles. 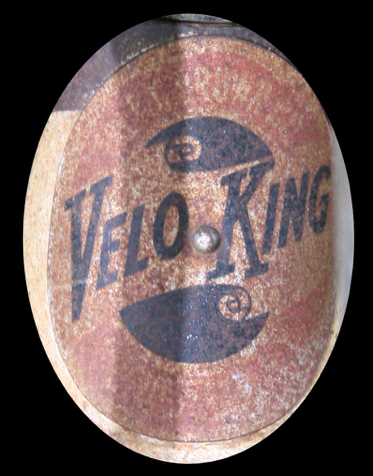 The name Velo-King was registered in 1920 and expanded to a large line of children’s tricycles/bicycles over the years. In 1931, A. Mecky Co. was sold to E.C. Brown in Rochester, NY. The factory in Philadelphia eventually closed, but Ledig remained Vice-President until his retirement. Today, tricycle collectors around the globe value A. Mecky Co. tricycles, and at this very moment, one is presiding at our 5218 N. Broad Street campus. Come visit and we would love to show you! John McConnell, Founder and President, and Tara Hank, Development Office Coordinator, stand in front of the old boiler. Third floor of the factory. Remains of the original Fire Alarm Box and Exit. View looking up from the first floor through the five stories of the factory. 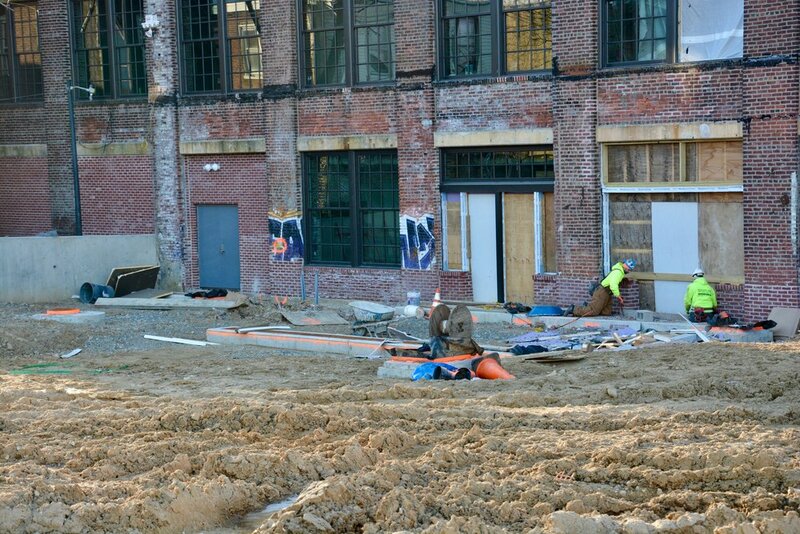 Street view of the A. Mecky Co. Tricycle Factory in the beginning stages of our restoration project. Check out the latest images from the construction site below, updating every 15 minutes. Exciting progress is being made at the construction site. The foundations are currently being placed in the new addition of the school. 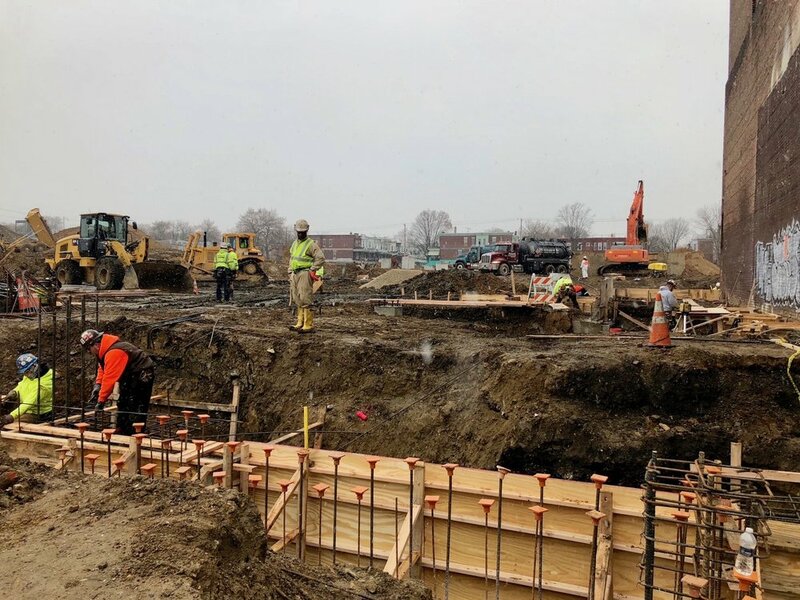 The footings are dug into the ground, the reinforcing steel is placed, and then the concrete will be poured into the footings by a pump. The reinforcing steel and concrete will create the strength needed to support the building upon it. It will not be long before the structural steel and skeleton of the school goes up! Want to stay connected to our progress? Sign up below and be the first to receive updates directly from us.